A customer experiences a new iPad in Chicago, the United States, on March 27, 2018. 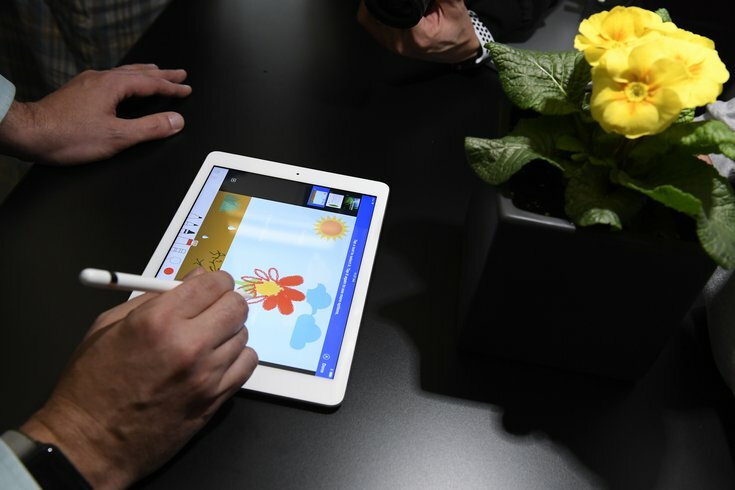 Apple on Tuesday introduced a new iPad with a digital pencil to draw and write plus greater performance in Chicago. Well, it’s finally here. Adobe will release a full version of Photoshop for iPad in 2019. It was announced in July that Adobe was working on the full version for the iPad, and today the company confirmed what features would be available. Long story short – if it's available on the desktop version of Photoshop, it will be available on the iPad version. The new software not only lets you work on your iPad but, but also move between your iPad and computer as you work, allowing you to work on the same projects form any device anywhere. This touchable interface has been around for Windows, but this is the first time Apple is getting its share of a touch-enabled Photoshop. Adobe says that the user can change, create, or manipulate as many different layer features as the user could do on a regular computer. It works seamlessly between the Apple Pencil and the app. It supports PSD files and gives users access to advanced compositing and masking, which are features that had not been available on the limited versions of its software, like Photoshop Express. The new Photoshop will be available in 2019, but Adobe has not announced iPad compatibility with the new software as of yet.